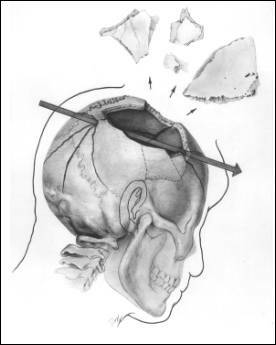 The House Select Committee on Assassinations' (HSCA) Forensic Pathology Panel (FPP) sought to identify and locate as precisely as possible any exit wounds on John Kennedy’s head, including that of the bullet it determined entered the rear of the President’s head. To accomplish that, the FPP utilized the only hard evidence available to it—the X-rays and photographs taken during Kennedy’s autopsy. Mysteriously, the President’s brain and the tissue slides of the wound margins prepared after the autopsy (which had been preserved for further study) have disappeared. The only organic matter from JFK’s body remaining in evidence today is the dried blood in the fabric of the clothing he wore that day, and possibly the human skin and tissue associated with CE-567. Why it “seem[ed] reasonable” to Davis “to assume that the exit point” was anywhere is left entirely to the imagination of the reader, for Davis never explained the rationale upon which he based his assumption. Davis’ unsupported and equivocal speculation not withstanding, the X-rays did not reveal any outshoot points. That left the FPP with only the photographs to make their determination. Unfortunately, these autopsy photographs of the head, hair, and disrupted scalp did not reveal a point of exit. The No. 17 and 44 photographs are extreme close-ups of some part of a skull, and evidence a semi-circular lacuna along the edge of the fractured bone margin closest to the camera. The FPP concluded that this notch was caused by an exiting bullet based on the perceived presence of outward beveling of the bone. 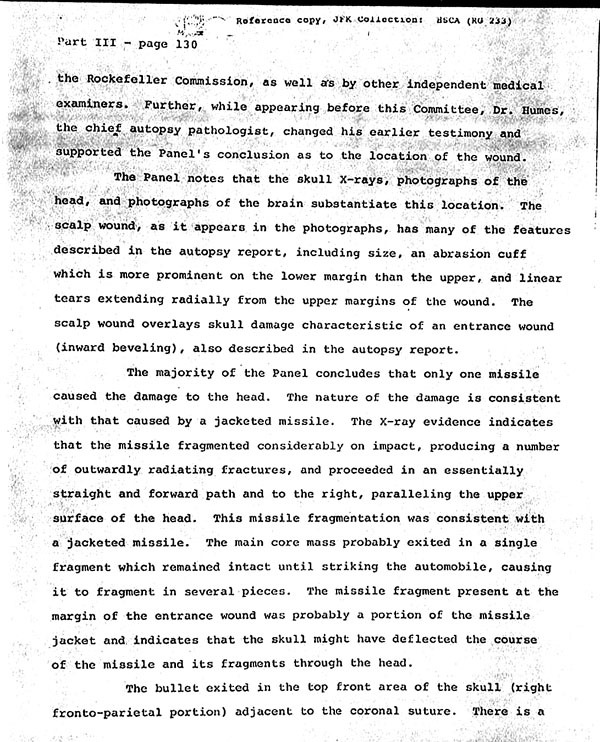 Assuming for the moment that the photograph indeed depicts an outward bevel created by an exiting bullet (and I doubt that is the case), this makes the FPP orientation of the photograph, and thus the anatomic orientation of the “exit” of paramount importance; if that “exit bevel” were to be located at the back of the head, that would spell conspiracy with a capital “C”. The FPP claimed the photograph depicts the “right frontoparietal region” of the skull, which covers the entire right front side of the skull. Yet at no point in their FPP Report or during FPP Chairman Michael Baden's public testimony was it explained or justified how they came to that most crucial of conclusions. What the reader gets in place of a detailed accounting is a stand-alone conclusion, untethered to any analysis or explanation. As such, we are expected to take it on faith alone that the FPP came to the correct conclusion. The bullet exited in the top front area of the skull (right frontoparietal portion) adjacent to the coronal suture. There is a considerable loss of bone in the area where the bullet exited, with multiple fractures extending from the defect. In the photographs, part of the perimeter of the 2.5 centimeters, beveled exit hole is visable [sic] along the margin of the defect and is somewhat larger than the diameter of the bullet itself. 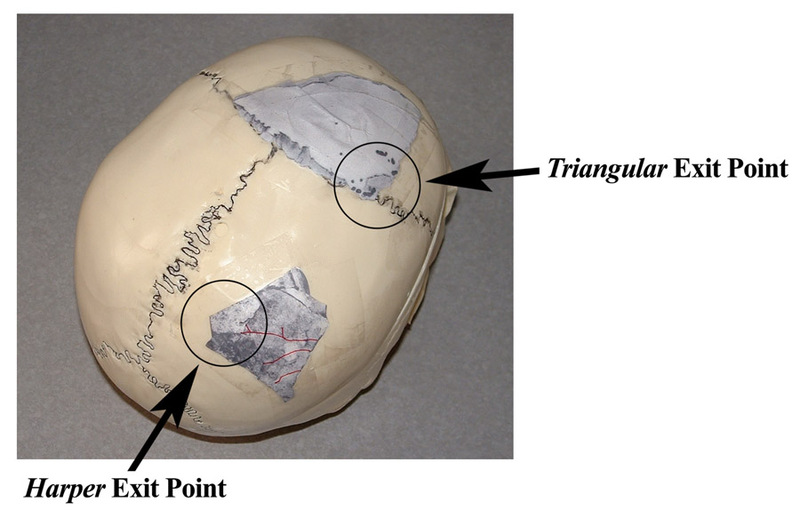 On the basis of these photographs and simulated skull reconstruction, the panel was able to determine the location of the point of exit within a reasonable margin of error [emphasis added]. The bullet exited in the top front area of the skull (right fronto-parietal portion) adjacent to the coronal suture. There is a considerable loss of bone in the area where the bullet exited with multiple fractures extending into the intact skull from the defect. 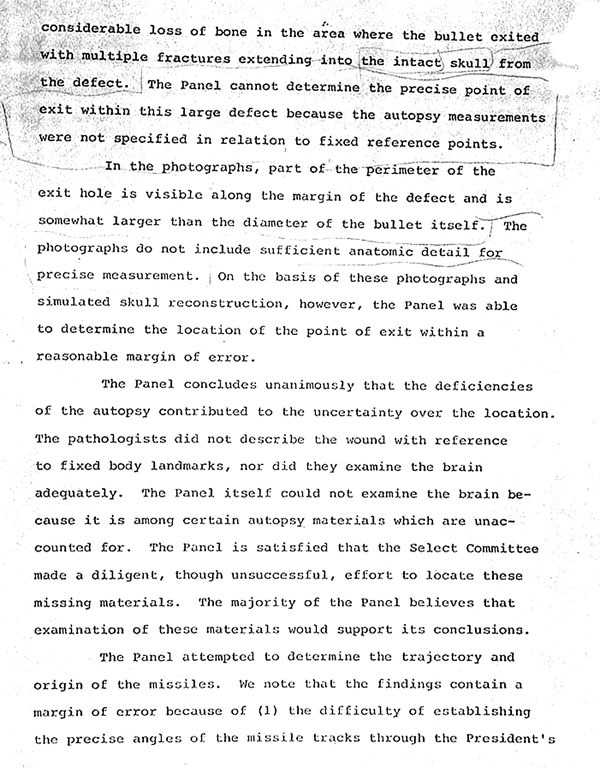 The Panel cannot determine the precise point of exit within this large defect because the autopsy measurements were not specified in relation to fixed reference points. The equivocal language, “[t]he Panel cannot determine the precise point of exit within this large defect because the autopsy measurements were not specified in relation to fixed reference points” was removed. With it went indications of uncertainty on the part of the FPP. The conclusion that “[t]he photographs do not include sufficient anatomic detail for precise measurement” was also removed. In its place, the wording “2.5 centimeters, beveled” was inserted before the phrase “exit hole”. Notice also that the word “visible” is correctly spelled in the FPP-endorsed final draft. To date, I have been unable to determine who made the changes to the FPP final draft, but the list of candidates is short (see endnote (31)). When all was said and done, the photographs and X-rays did not reveal the precise location of any bullet exit point or points. As a result, the FPP was left in an awkward position; the Panel had no outshoot. The FPP did not yet have a viable outshoot point. They did, however, have a plan utilizing additional pieces of the puzzle—fragments of bone ejected from President Kennedy’s head during the assassination and later recovered. We’ve come to know these as the Harper and Triangular fragments. The Harper Fragment - William Harper found a portion of Kennedy’s skull on November 23, 1963 while taking pictures in Dealey Plaza, the site of the assassination. Harper brought the fragment to his uncle, Dr. Jack Harper, who brought it to Dr. A.B. Cairns, chief of pathology at Methodist Hospital, Dallas Texas. 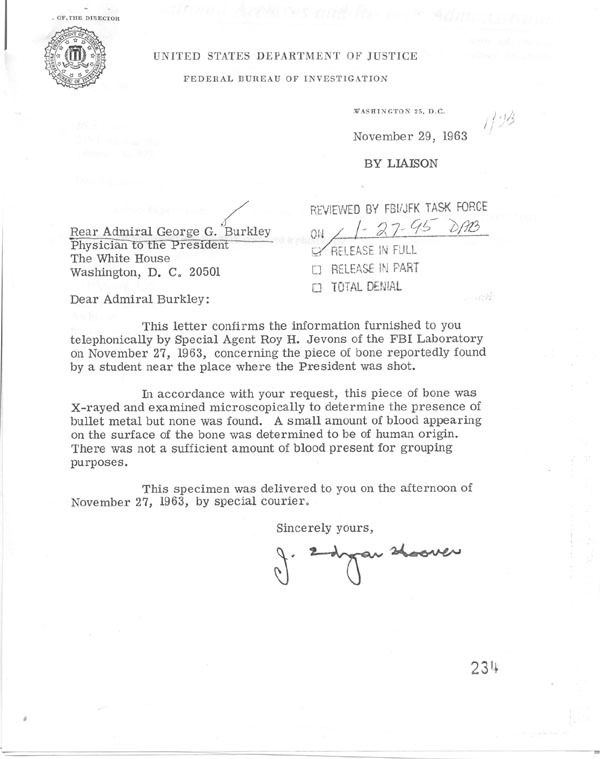 The fragment was subsequently turned over to the FBI who examined the fragment, then turned it over to George Burkley, White House Physician to the President. From there the fragment disappeared from the official record. Indeed, the Harper fragment’s ultimate disposition and whereabouts remain unknown today. Fortunately, before the Harper fragment was turned over to the FBI, Cairns brought it to M. Wayne Balleter, a medical photographer at Methodist Hospital who made quality color slides of both sides of the fragment (see Figure H-2). Figure H-2. Exterior (left) and interior (right) surfaces of the Harper fragment. The FPP would later make the dubious claim that they perceived exit beveling on this fragment. The Triangular Fragment - Three pieces of skull bone were brought to the Bethesda morgue around midnight while JFK’s autopsy was still underway. They were X-rayed but not photographed (see Figure H-3). Figure H-3. Photograph of an X-ray of three skull fragments recovered and apparently delivered to the morgue while Kennedy’s autopsy was still in progress. It was at one corner of the Triangular fragment that the autopsy prosectors reported beveling of the exterior surface, indicative of an exit point (red circle in Figure H-3 above). Additionally, X-rays of the fragment revealed lead deposits at that location, a strong indication that a bullet or fragment exited at that point. The anthropologic/pathologic/radiologic question before the FPP became, “what is the relationship of the three ‘exits’ to one another, if any, and to the skull itself?” In search of answers those questions, the FPP sought to determine the anatomic origin of the various skull fragments. To that end, the FPP reasoned that if a radiologist could define the shape of the defect in the skull as seen in the extant X-rays, that damage could then be replicated on a human skull similar in size and shape to JFK’s. The FPP further reasoned that full-scale paper tracings of the Harper and Triangular skull bone fragments could be constructed and then anatomically repositioned within the existing defect. 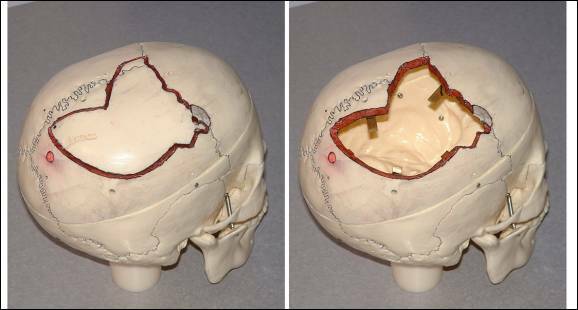 This accomplished, the FPP would have created a full-scale replication of the damage pattern on Kennedy’s skull, and the location of the three exit points would be identified. A potential finding of conspiracy hung in the balance, for if any exit points were located at the back of the head, the official single assassin, Lee Oswald, could hardly have been culpable. In August 1978, HSCA radiology consultant Dr. David O. Davis instructed Dr. Michael Baden and either directly, or by extension, HSCA medical illustrator Ida Dox on the location and shape of the defect on President Kennedy’s skull per the extant X-rays. [A] skull was used that had the dimensions of the President’s and the photographs of the retrieved bone fragments were traced to get the outline. This paper was cut out along the outline and taped on the skull in the position that the X-rays indicated there was bone missing, and from this paper and skull reconstruction I made my drawing. Ida Dox was intimately involved the skull reconstruction project. Her odd reaction to my questions concerning that subject during our second and final telephone conversation is discussed in the epilogue that closes this essay. Figure H-4. Exhibit F-66, the FPP version of the damage to John Kennedy’s skull as derived from the X-rays and skull model exercise. The ejected bone fragments in the above drawing were said by Dr. Baden to have been “drawn to scale in relation to each other, but not to the skull.” Additionally, the positioning of the fragments in the illustration does not appear to actually represent the ejection pattern as the FPP defined it. 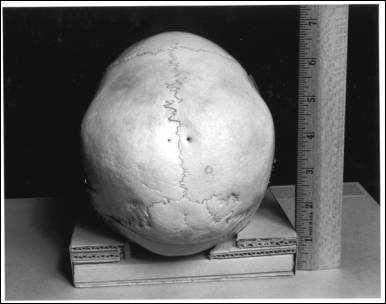 The actual human skull upon which Ida Dox drew the skull defect, and to which she and Baden taped the paper bone fragment, and upon which the FPP based major conclusions was never introduced into evidence before the HSCA. No likeness of it was produced in the HSCA Report or in any supporting volumes, including Vol. VII containing the FPP Report. Indeed, the skull model’s existence is known only from Baden and Dox’s testimony, and from the brief passage in the FPP Report referenced above. After I realized that the FPP outshoot claim was suspect, I began to search for the unseen skull. 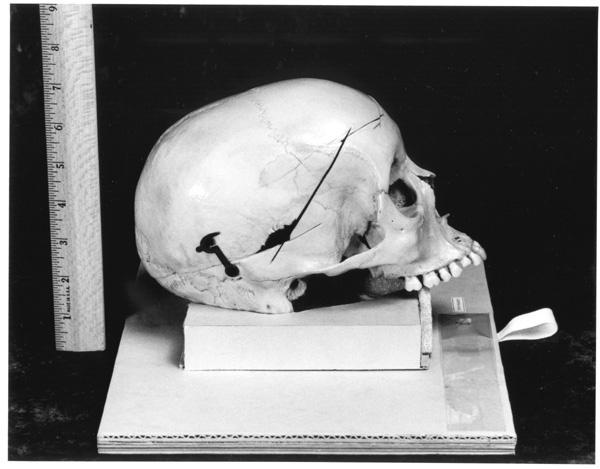 A promising lead was quickly developed; a “skull model” associated with the HSCA was housed at National Archives and Record Administration (NARA) in Maryland. Excited, I contacted NARA JFK Special Access and FOIA staff member, Matt Fulgham. I explained the claims made by the FPP regarding their skull reconstruction process using the human skull. I told Fulgham that I suspected the NARA “skull model” was the skull in question. I asked what would it take for me to be able view the skull. Fulgham replied that the skull was classified as an “artifact” as opposed to a “record”, and due to its delicate nature, it would be extremely difficult to justify handling it such that I might view it. I said to Fulgham, “I might be able to save everyone a lot of trouble. If the skull is not the one I’m looking for, I won’t need to see it. If, however, the skull has an exit portal drawn on it, and/or there are four loose pieces of paper representing the bone fragments in the box, I will definitely want to see the skull.” I asked Fulgham if he would be willing to open the box containing the skull and tell me what he saw. He agreed and put the phone down on the desk while I waited. Several minutes later Fulgham returned, reporting that the skull was marked with a “red pen” as I described it, and that there were “loose pieces of paper in the box.” I was ecstatic! I’d found the skull! Now I had to persuade NARA to let me view and photograph it during an already-scheduled upcoming trip to the Archives. Fulgham promised to send a letter informing me what I had to do to justify viewing the skull. Several days later the letter from Fulgham arrived. In it were outlined three criteria that I had to satisfy in order for the JFK staff to consider my request. The most important of these was to demonstrate that no documentation (photographs) of the “skull model” existed, and if they did, why they did not meet my research needs. I replied with an 8-page request that satisfied fully the criteria set out by NARA. Yet my request was denied not on its merits, which were solid, but for reasons not remotely related to the original NARA criteria. In essence, NARA set up a field goal and told me to kick the ball through the uprights. I complied and the ball was headed squarely through the goal posts. Then, while the ball was in mid-flight, NARA moved the uprights and I “missed.” Needless to say, I was not at all happy with NARA’s tactics. A frustrating year passed as I struggled to coax the NARA staff into acting like archivists. Then, in a stroke of luck, a JFK staffer stumbled across a set of photographs taken of the “skull model” during a 1996 preservation project conducted by NARA. Fulgham called to inform me of the discovery. Again I was ecstatic! Fulgham promised to mail me copies of the photographs of the skull. Finally, after a year-and-a-half struggle with NARA, I would be able to see what Baden and Dox had done, or not done. I was astounded by what I saw. I was also mightily crestfallen. Incredibly, and in direct contradiction to what Fulgham told me over the phone, there was no exit portal drawn on the skull! Nor were there any paper bone fragment replications! There weren’t even loose pieces of paper of any type! The “skull model,” it turns out, was that marked by autopsy prosectors Humes and Finck at the HSCA’s request (September 16, 1977, and March 12, 1978, respectively). I was at a complete loss to understand how Fulgham reported what he did. Fulgham and NARA had wasted enormous amounts of my time and effort. Worse still, I would have to continue to speculate about the FPP skull reconstruction. To put it mildly, I was not happy. I cooled off for several days before responding. Then, one and a half years after the initial conversation with Fulgham, I called him again. Not surprisingly Fulgham only vaguely recalled the conversation, and could recall no substantive details, even when I refreshed his memory with the notes I’d taken that day. To the present day, I have serious doubts about whether Fulgham (no longer with JFK Special Access and FOIA) really did go to the “skull model” box and peek inside. In the final analysis, it is possible that the “skull model” in the Archives could actually be the Baden/Dox skull after all. Perhaps Dox and Baden drew the defect on the lacquered skull in pencil and later erased all evidence of it to cover their tracks. The paper fragments might likewise have been discarded. There seemed a slim avenue left to explore; contact the medical illustrator who’d created the work—Ida Dox. 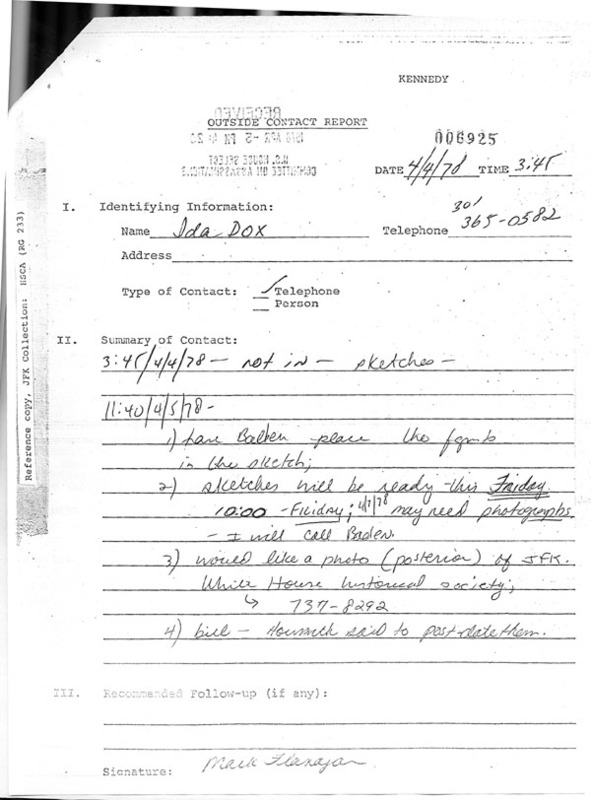 Given that she’d indicated her desire to keep her original artworks when the HSCA was finished with them, I reasoned that Ida Dox might conceivably also have retained possession of the skull itself or photographs of it. 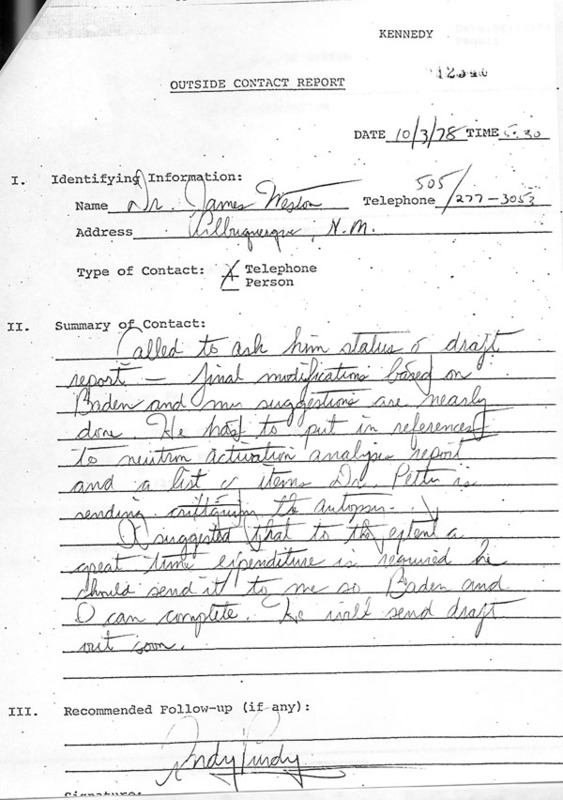 So it came to pass that I placed the first of two telephone calls to Dox. Although I was respectful and explained that I had one simple question to ask, Dox was extremely hostile from the outset. She demanded to know “who are you with?” I explained that I was not “with” anyone or any agency, but that I was a private citizen who was attempting to locate the skull model. I asked if she had any “information as to its current whereabouts or ultimate disposition.” Although she could have hung up the phone, she did not. She listened to the question, and then asked again whom I was “with.” I started to explain again, but Dox cut me off mid-sentence. Dox's hostility intensified and it became obvious that I was wasting my time, so I ended the phone call. For reasons that will become apparent in the pages ahead, the skull’s disappearance and Dox’s reticence to discuss the matter are no accident. Figure 32 is the same scale drawing depicted in Figure 31 [JFK F-66 (See Figure H-4)], with the attached bone fragments replaced in approximate anatomic position and the four separately received bone fragments replaced in the remaining defect. The approximate location of the only identifiable exit defect is also indicated [emphasis added]. 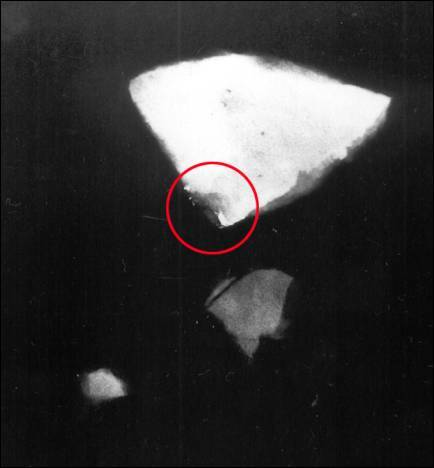 “Figure 32” referenced above was a sister drawing to F-66 (Figure H-4 above), the distinction being that unlike F-66 which shows the fragments flying through the air, “Figure 32” showed them replaced on the skull within the defect. That illustration represented the culmination of the FPP single exit wound analysis/conclusions, which flowed exclusively from the skull reconstruction. In what is one of the great mysteries surrounding the work of the FPP, that keystone illustration, intended by the FPP members to be published in their Report, was made to vanish. 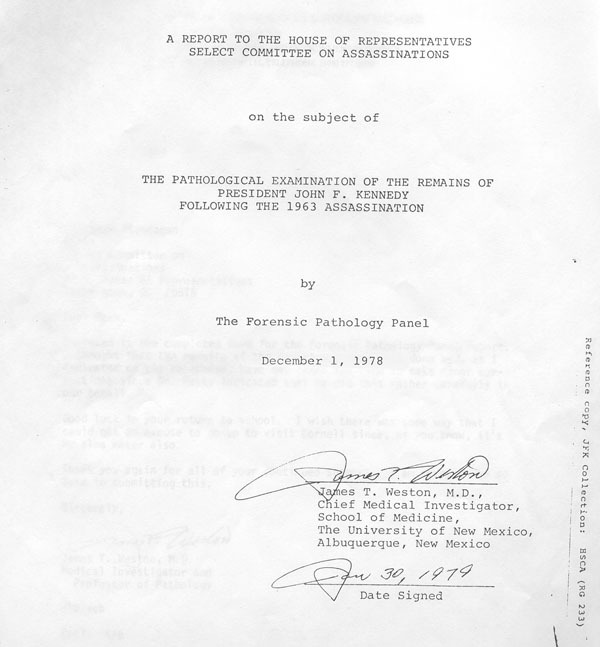 Incredibly, in the interim between the time the panel members approved the final draft of their Report (mid-December, 1978) and the time it was published (March, 1979), that illustration (alleged to demonstrate that there was only one exit point on Kennedy’s skull) and its associated text were removed. In Figure H-7 below, I put together a schematic version of what the missing illustration would likely have shown. The drawing is not meant to convey the shape of the fragments or their location on the skull. Rather, it is intended to help the reader visualize what the missing illustration must have looked like. Figure H-7. The author’s schematic reconstruction of the missing “F-32” Dox illustration with the ejected bone fragments replaced on the skull. The elimination of that most crucial of illustrations, its associated text, and the skull itself suggests that someone outside the FPP was aware of what we are about to discover; the FPP version of the damage pattern is demonstrably impossible. 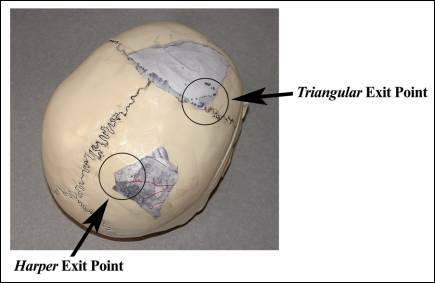 It is important to reiterate that the FPP claimed to have physically replaced paper tracings of the Harper and Triangular fragments on a skull in such a manner that they abutted one another and completed a single point of exit within the perimeter of the bony defect in the skull. I read and reread the paragraph in the FPP Report explaining how the fragments were supposed to fit the skull (7HSCA124 (324)). Then I would look at the F-66 illustration on the facing page (Figure H-4 above). My previous experience with technical illustration had trained me to visualize two-dimensional objects in three dimensions, and vise versa. When I arranged the skull fragments in my mind’s eye as the FPP indicated, the claim seemed impossible. So I decided to put it to the test. Not being able to examine the original artifact presented surmountable hurdles; it would be necessary to duplicate the work of the FPP by constructing a scale re-creation of the FPP skull hole, skull bevel, and paper bone fragments. I employed a three-step process to accomplish this using anatomic information and medical illustrations contained in the FPP Report, unpublished documents from the once-secret HSCA files, and a life–sized plastic model cast from a human skull. 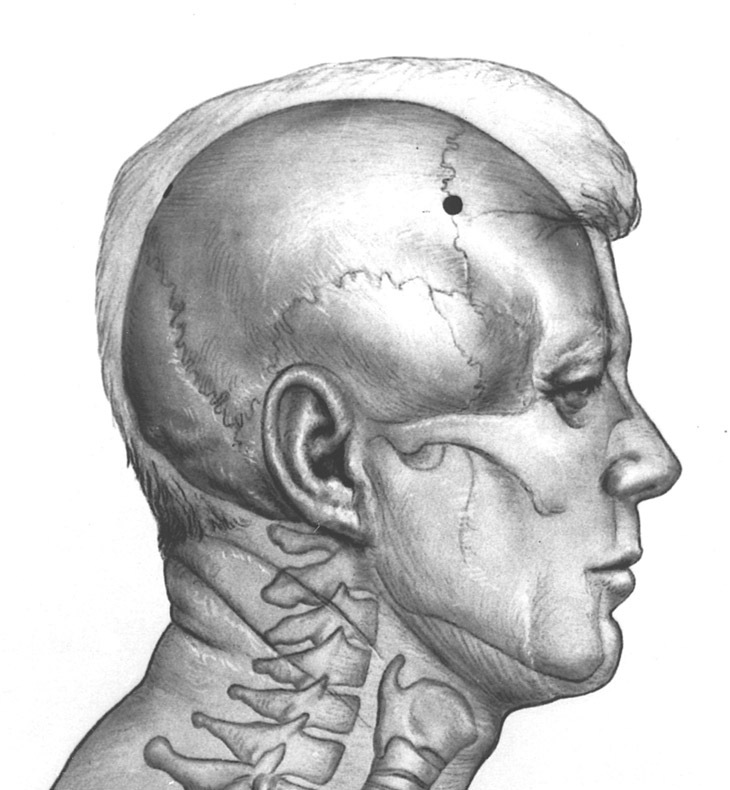 Firstly, the shape and location of the skull defect as seen in the F-66 illustration (Figure H-4 above) had to be defined. This was accomplished by constructing a scale three-view drawing based upon the two-dimensional F-66 illustration, which was described in the FPP Report as a “scale drawing of the frontal and right side of a human skull”, and which was based upon the unseen skull. In addition to F-66, I utilized various dimensions and descriptions of the damage listed in FPP Report, the reports of various radiological and anthropological consultants, and the Photographic Evidence Panel's Trajectory Analysis. Once the relevant anatomic data had been collated and analyzed, I then reconstructed the defect point-for-point on scale illustrations of Kennedy as seen in profile and from the rear (F-58 and F-307, respectively). The damage was then extended to a top view, which was then rendered. Thus, the F-66 skull hole had been plotted as a scaled 3-view drawing. The result is shown in Figure H-8 below. Figure H-9. 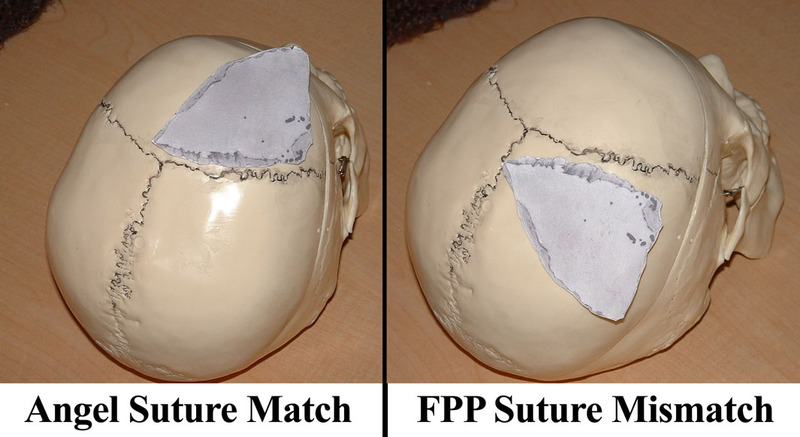 The author’s scale re-creation of the FPP X-ray-based JFK skull defect. 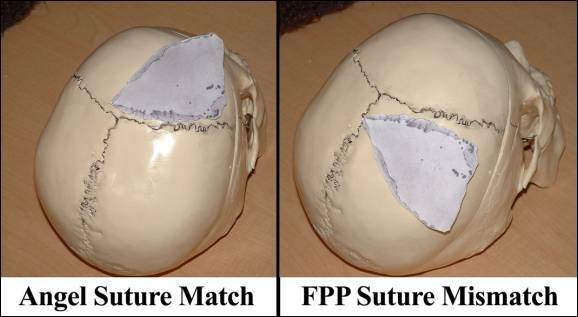 It is important to note at this point that although it was never explicitly stated in the FPP Report, according to the FPP, the skull defect extended no farther forward than the coronal suture. That is to say that the frontal bone was intact, save the small chipped area of the “exit bevel” the FPP reported seeing in the photographs. This effectively confined the Harper and Triangular fragments to the right parietal; a restraint, it will be shown, the FPP knew was unjustified. [T]he drawing to your right [F-66], indicates the path of the bullet entering the right upper head region approximately 1 inch to the right of the midline of the body and approximately 4 inches above a bony prominence in the back of the head, the external occipital protuberance which is depicted here. From Baden’s testimony, it becomes evident that with the exception of a “semi-circular defect”, i.e. the supposed exit bevel, the FPP defect extended no further forward than the coronal suture. The forward-most extent of the bony defect as the FPP defined it was confirmed through a comparison of the F-66 illustration mentioned by Baden and its counterpart, F-65. I made high-resolution computer scans of an 8x10 photograph of the F-66 illustration at the National Archives (see Figure H-4, above). According to Dr. Baden, “the four bone fragments” in that illustration were “drawn to scale in relation to each other, but not to the skull.” I scaled the image of the four fragments up to life size using a powerful computer image-editing program, Photoshop 5.5. The accuracy of the resizing was verified by comparing dimensions of the Harper and Triangular fragments listed in the FPP Report, the autopsy protocol, and using the scale reference in the photographs of the Harper fragment against those in the computer image file. I then printed the scaled image of the Harper and Triangular fragments on paper. Transparency film was then placed over the image of the fragments and the outlines were traced with a red marker. The film was then cut along borders of the fragments and I had transparent, life-sized copies of the two bone fragments. Figure H-10. Hunt’s re-creation of the FPP skull reconstruction-derived single exit site. 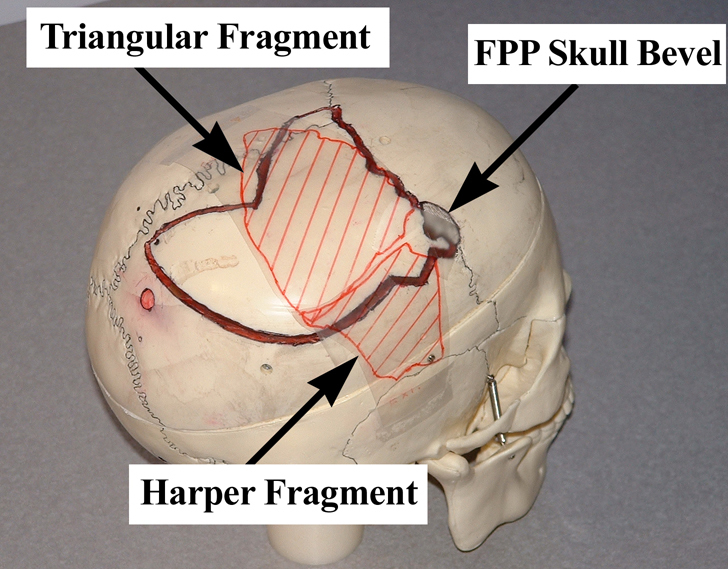 Figure H-10 demonstrates how the FPP contend the two fragments fit onto the skull in relation to the skull “bevel” and skull defect; the Triangular and Harper fragments are in the parietal bone and abut one another, completing a single exit hole. As my re-creation demonstrates, the FPP account of the reconstruction is clearly impossible; there is nowhere near enough room to accommodate both the Harper and Triangular fragments at the front of the FPP defect. Yet the FPP claimed to have physically done just that! Now we see that their “single-outshoot” conclusion was nothing more than hollow words on a page. The FPP wrote that the Harper fragment “complete[d] the circular perforation in the suture line immediately superior to the temporal bone” [emphasis added]. 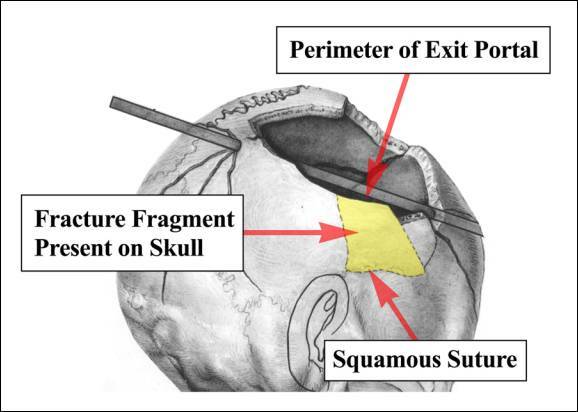 What that means is that according to the FPP, the skull hole must have extended right down to the squamous suture which marks the juncture of the lower parietal and upper temporal bones. Yet, the FPP’s very own illustration and the extant lateral X-ray show that clearly not to be the case. According to the FPP itself, a fracture fragment (tinted yellow in Figure H-11 below) is located exactly where the FPP told us the Harper fragment fit the skull. Figure H-11. The fracture fragment highlighted in yellow above is visible on the No. 2 lateral autopsy X-ray. The fragment is present in the autopsy photographs as well, but has been reflected outward, apparently hinged on a flap of scalp or pericranium such that it is in a different orientation when compared to the X-ray. Notice that the yellow-tinted fracture fragment, which is comprised of parietal bone, extends from the squamous suture (the inferior border of the parietal bone and superior border of the temporal bone) right up to the inferiolateral margin of the FPP skull defect. Obviously, and despite the fact that the FPP says it is so, the Harper fragment cannot be so located for the reason that bone is already present at that point! How could the FPP possibly claim in good faith to have stuffed the Triangular and Harper fragments into the same 90-degree corner to arrive at a single exit site? How Did the FPP Fail So Convincingly? Dr. Angel, a well-respected and experienced forensic anthropologist, assisted the FBI on many occasions, and “reported on over 565 cases and testified as an expert witness in 18 murder trials.” Angel, Curator of Physical Anthropology, National Museum of Natural History, Smithsonian Institution offered the HSCA the benefit of his considerable expertise. 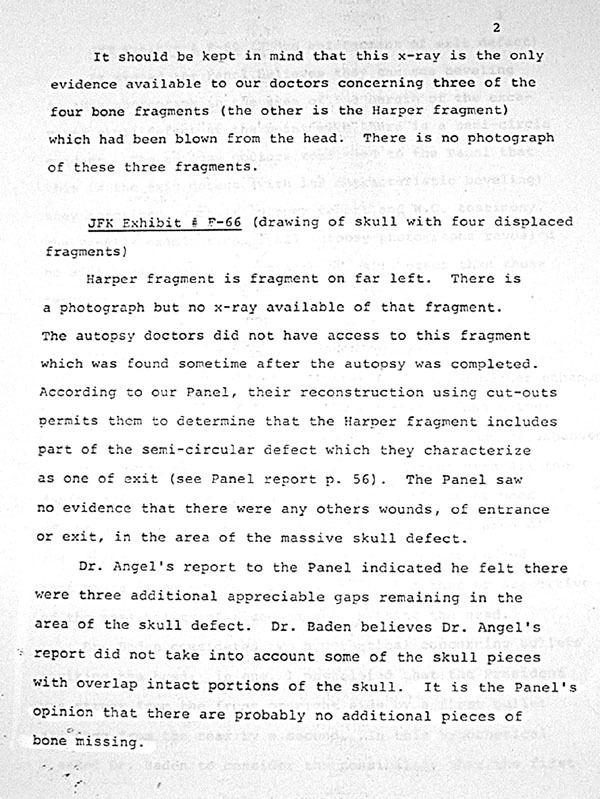 After examining the photographs and X-rays on three separate occasions, Angel submitted a detailed report in which he set out his anatomic relocation of the Harper and Triangular fragments. It comes as no surprise that anthropologist Angel justified his opinions by citing specific anatomic features. Figure H-12. The drawing prepared by Dr. Angel on which the Harper fragment has been tinted blue and the Triangular fragment red by the author. 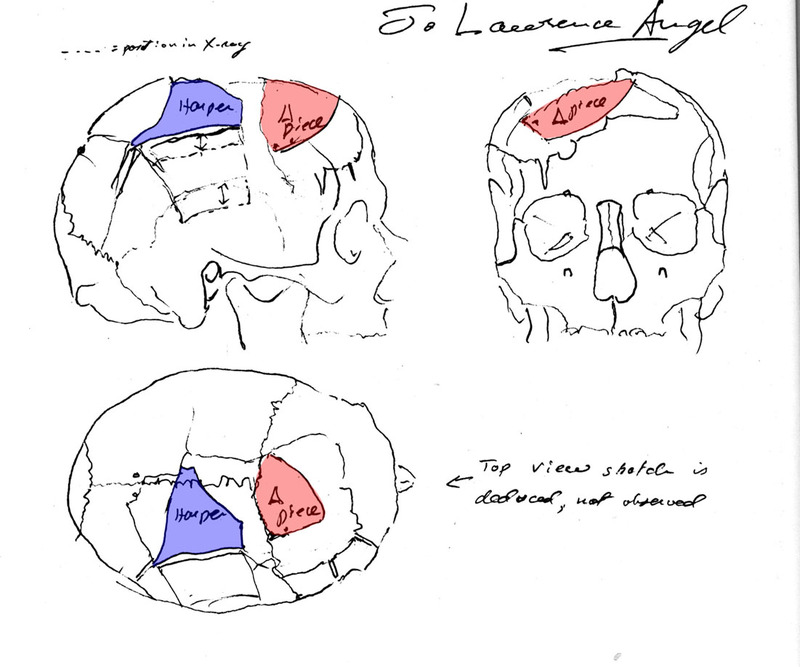 Note the Harper fragment’s rearward position according to Angel, and the fact that it does not touch the Triangular fragment, which is situated anterior to the coronal suture in the frontal bone. Dr. Angel offered specific, anatomical justifications for his Harper fragment placement, correct or not. The FPP, on the other hand, offered no justification whatsoever in support its obviously incorrect “placement” of the Harper fragment. Ultimately, the FPP simply told us that the Harper fragment belonged at the right front of the skull without offering a single piece of evidence/analysis in support of that contention. The FPP lamely wrote that they “attempted to locate the correct position of these fragments,” but never elaborated on the process. Significantly, the FPP did not (and probably could not) refute or rebut the detailed analysis of the forensic anthropology expert they consulted. Nor did they bother to explain, justify, or even acknowledge their quiet, intellectually troublesome rejection of Dr. Angel’s opinions. In doing so, the FPP acted in a manner that was in complete contravention of the spirit and wording of Charge No. 3. Harper fragment is fragment on far left. There is a photograph but no x-ray available of that fragment. The autopsy doctors did not have access to this fragment which was found sometime after the autopsy was completed. According to our Panel, their reconstruction using cut-outs permits them to determine that the Harper fragment includes part of the semi-circular defect which they characterize as one of exit (see Panel report p- 56). [NOTE: This matches the text of the FPP final draft. JH] The Panel saw no evidence that there were any other wounds, of entrance or exit, in the area of the massive skull defect. Autopsy prosector, J.T. Boswell recalled the missing frontal bone for the ARRB and drew the hole on a plastic skull (see Figure H-12b, below). Although the autopsy report does not mention the missing frontal bone, Boswell’s blood-covered diagram drawn in the morgue during the autopsy clearly shows the missing frontal bone. Autopsy ballistics consultant, Pierre Finck reported to his superior, General Bloomberg, that frontal bone was missing. Dr. David Mantik noted and diagrammed the missing frontal bone during his exposure to the original X-rays at the National Archives. HSCA Trajectory consultant, Thomas Canning independently recalled see missing frontal bone on the X-rays during our telephone conversation covering the sad treatment he received from Baden and Weston. HSCA radiology and computer enhancement consultant, G.M. McDonnel reported the missing frontal bone in his report to the FPP. 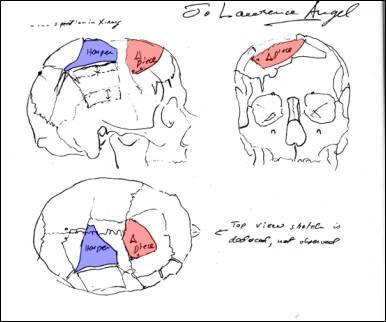 Forensic Anthropologist, J. Lawrence Angel noted and diagramed the missing frontal bone in his report to the FPP. Figure H-12b. - Autopsy prosector, J.T. Boswell diagramed the missing frontal bone (tinted red by the author) for the ARRB. Photo taken by the author at NARA. The fact that frontal bone is missing invalidates Baden’s claim to have filled in the entire skull defect, thus eliminating the possibility of a second headshot. Now take another look at Figure H-4 and try to imagine how the four fragments in F-66 could fit into the defect in Figure H-10. Incredibly, the FPP claimed that Angel put the Harper fragment at the front of the head associating it with the skull bevel. The FPP could not be more wrong. 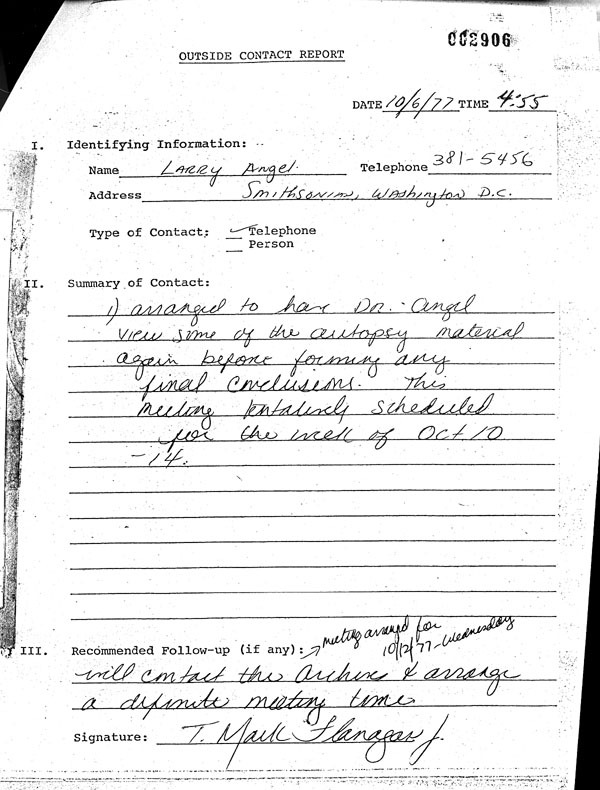 The unequivocal text of Angel’s report and the drawing attached to it leave no room for doubt; Angel placed the Harper fragment at the top rear of the head. The FPP even quote that passage from Angel’s report on page 123 of their Report! The two big loose fragments of skull vault [Harper and Triangular fragments], from upper frontal and parietal areas, more on the right than the left side, do not articulate with each other and leave three appreciable gaps unfilled [emphasis added]. (7HSCA128). Dr. Angel was specifically tasked with orienting the fragments within the defect in the skull using the photographs and X-rays and he reported that the two large fragments did not touch each other. The FPP would leave the false impression that this expert agreed with their interpretation when they knew that was simply not true. 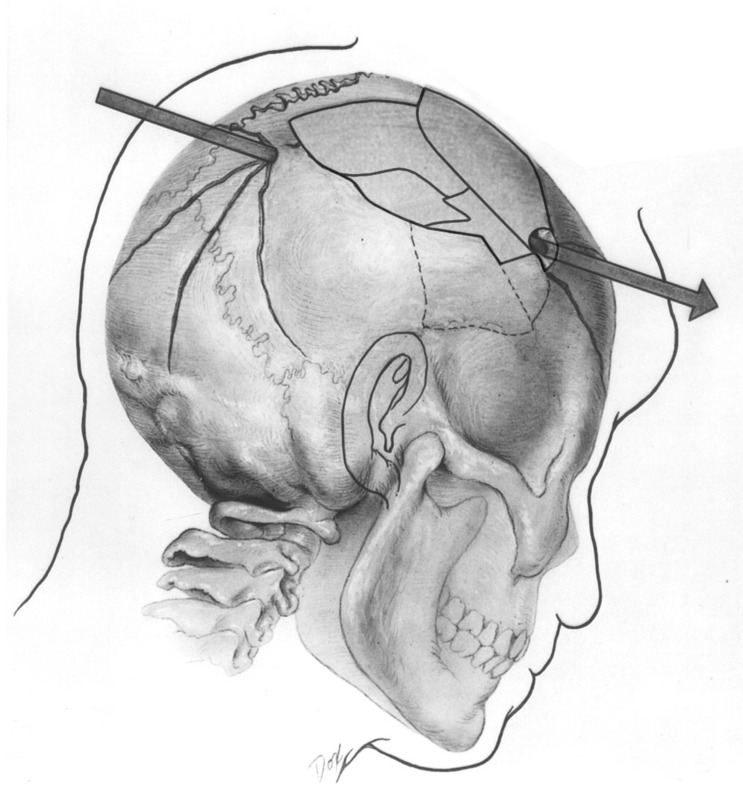 The FPP placement of the Triangular fragment behind the coronal suture (that is to say the fragment was parietal bone as opposed to frontal) disregards the well-documented construction of the human skull. No disagreement exists among the various forensic experts that the Triangular fragment contains a portion of the coronal suture (see Figure H-13). Figure H-13. 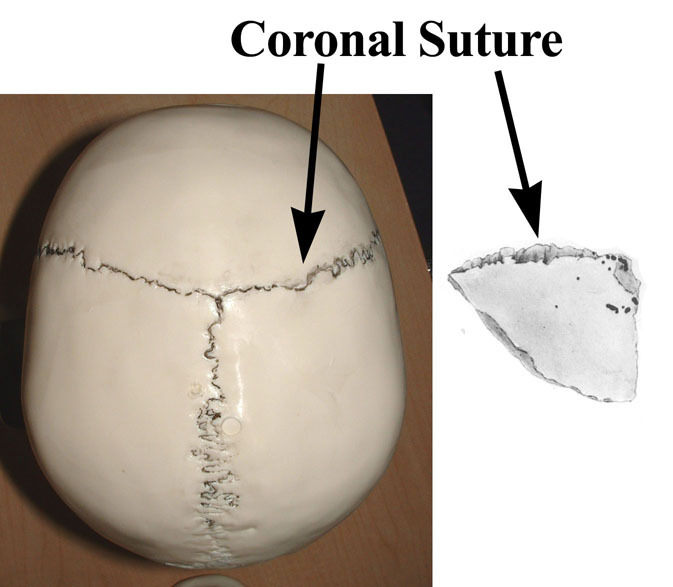 The coronal suture is defined on the skull and Triangular fragment. Dr. Angel recognized that the Triangular fragment came from the frontal bone. His anthropological expertise allowed him to match the curve of the coronal suture on the Triangular fragment to the curve of the coronal suture on the skull. The FPP likewise claimed the fragment’s suture was coronal, but had “determined” that the fragment was parietal bone. Note that the orientation of the Triangular fragment has been reversed (flip-flopped) between the two views in Figure H-14. This is due to the fact that is not possible to tell from the X-rays whether the bone fragment was placed face up or down on the X-ray plate. Indeed, the FPP attempted “to determine which side of the bone fragments is which” when they interviewed and consulted with Dr. John Ebersole, who supervised the taking of the original X-rays. 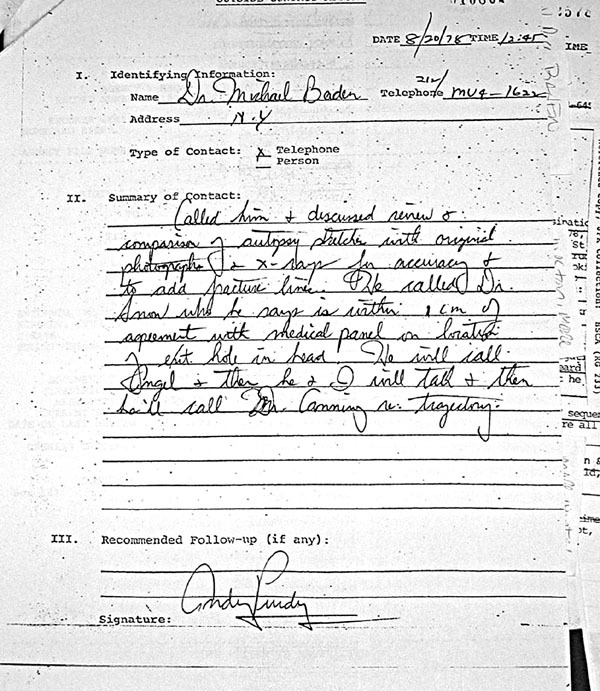 According to Purdy’s December 1978 report, Baden is quoted as saying that Ebersole and the FPP “were unable to make this determination.” Therefore, notwithstanding the curve of the coronal suture, either orientation could hypothetically be correct, but not both. The FPP version has the curvature of the Triangular fragment and coronal suture in opposition, which is clearly wrong. Given that there is a substantial amount of missing frontal bone on the X-rays and that the curvature of Kennedy’s coronal suture is definitely known, Dr. Angel, not the Forensic Pathology Panel, was correct. 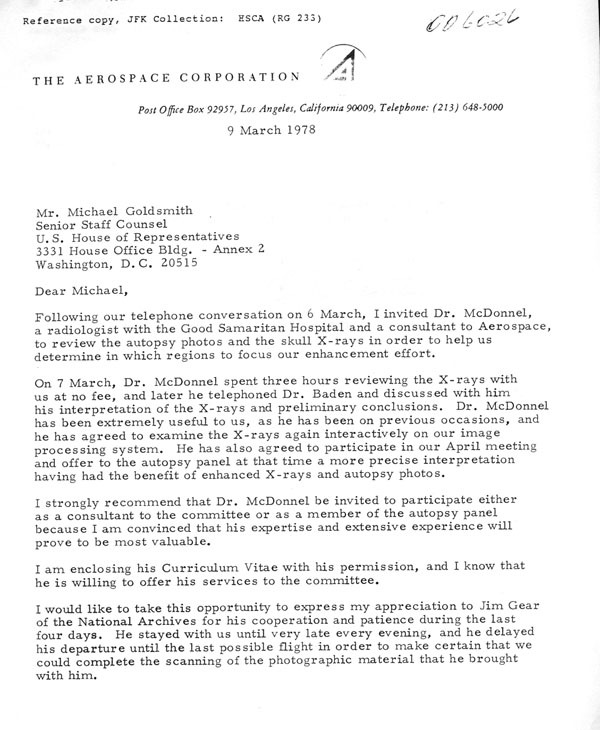 The HSCA concurred with Leontis, and McDonnel studied the original X-rays for four hours at Aerospace Corp. headquarters in El Segundo CA on March 7, 1978. The next day, McDonnel submitted a report that closed with the suggestion that computer enhancement of the materials be made to bring out more detail. Aside from his radiological expertise, Dr. McDonnel possessed another specialized skill that would prove extremely useful to the HSCA and both the Photographic Evidence Panel (of which McDonnel would become a member) and the FPP; McDonnel was an expert in the emerging field of image digitization and computer enhancement and was a computer imaging consultant to Aerospace Corp. In McDonnel, the FPP had an expert who could both apply his computer expertise to guide the technically complex process of computer enhancement, and then render an expert radiological opinion on the results obtained. If anyone held the promise of definitively determining the extent and nature of the damage to JFK's head as seen in the extant autopsy X-rays, it was G.M. McDonnel. The HSCA again agreed with Leontis, and McDonnel was given the responsibility of guiding the autopsy X-ray enhancement efforts at Aerospace over a four-month period from March to June 1978. By August 1978, the enhancement efforts had been completed and McDonnel submitted a second, more detailed report based upon his many months of exposure to the X-rays and enhancements. McDonnel was obviously concerned that Weston would not convey McDonnel’s opinions accurately. What caused McDonnel to distrust Weston and question his integrity? Had McDonnel and Weston’s recent attempt to “solve their differences of opinion” failed? Whatever the case, McDonnel was clearly suspicious of Weston. Among other findings, McDonnel reported that there was a “[n]early complete loss of right parietal bone, the upper portion of the right temporal bone, and a portion of the posterior [rear] aspect of the right frontal bone” [emphasis added]. 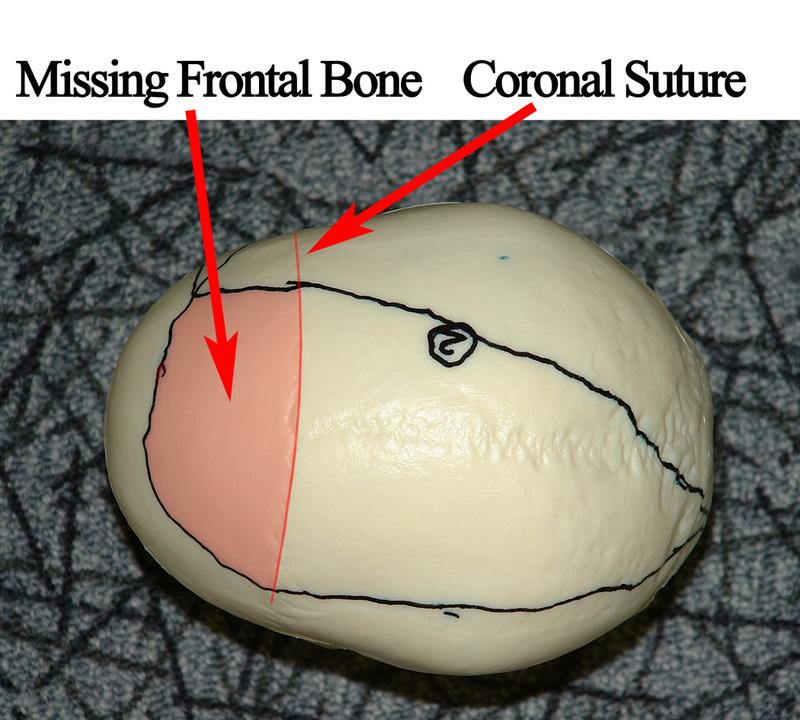 McDonnel knew full well that the posterior aspect of the frontal bone was missing. Yet Weston, Baden, and the FPP majority disregarded the opinion of the radiology/computer expert they consulted on this single point. In contravention of Charge No. 3, the FPP tacitly concluded that the frontal bone was intact. McDonnel’s second, computer-enhancement-based radiology report was received by the HSCA on August 11, 1978. The day before, Robert Blakey had cleared the way for yet another radiologist to view the autopsy X-rays, Dr. David O. Davis. Why would the FPP need yet another radiologist’s opinion? Apparently to combat McDonnel’s opinion that frontal bone was missing. 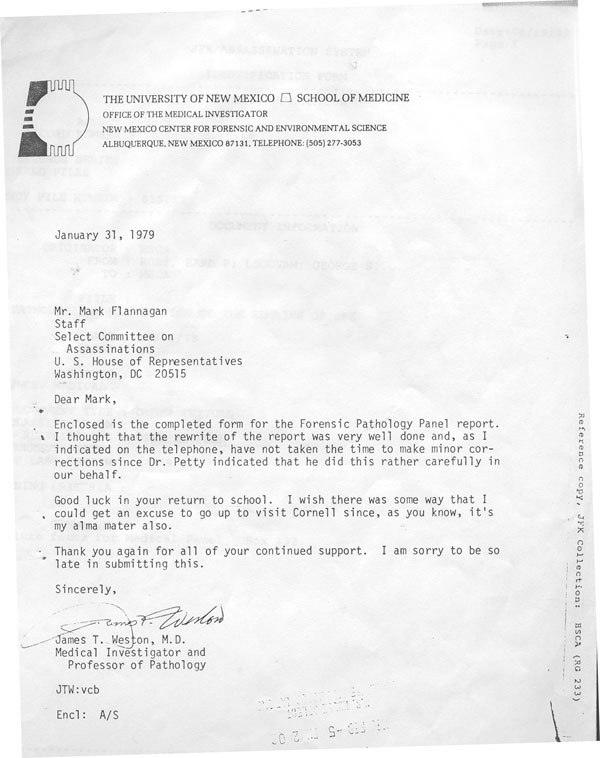 After his initial consultations with McDonnel in early March, 1978, Michael Baden was so impressed with McDonnel’s abilities was that he “wanted to know about the possibility of including McDonald [sic] in on more of the [Forensic Pathology] Panel findings.” Now, months later, Baden and the FPP selectively threw one of McDonnel’s findings into the toilet. Why? Because, as we will shortly see, the FPP could not afford to have the rear of the frontal bone be missing. The “single outshoot” claim made by the FPP on page 124 of the FPP Report is unambiguous. That claim as it exists in the FPP Report in volume VII is word-for-word the same conclusion the FPP endorsed as a part of their final draft. In this instance, no one altered the FPP Report, either by putting words into their mouths, nor taking any away. The “single outshoot” claim was said to have been based upon the skull reconstruction exercise. The FPP could never have repositioned the fragments within the skull defect in the manner they claimed to arrive at a single outshoot. The fact is that the FPP claimed to have accomplished something we know they could not possibly have accomplished. Whatever else we may find out about the HSCA/FPP in the years to come, one thing is clear; the majority members of the FPP—Drs. 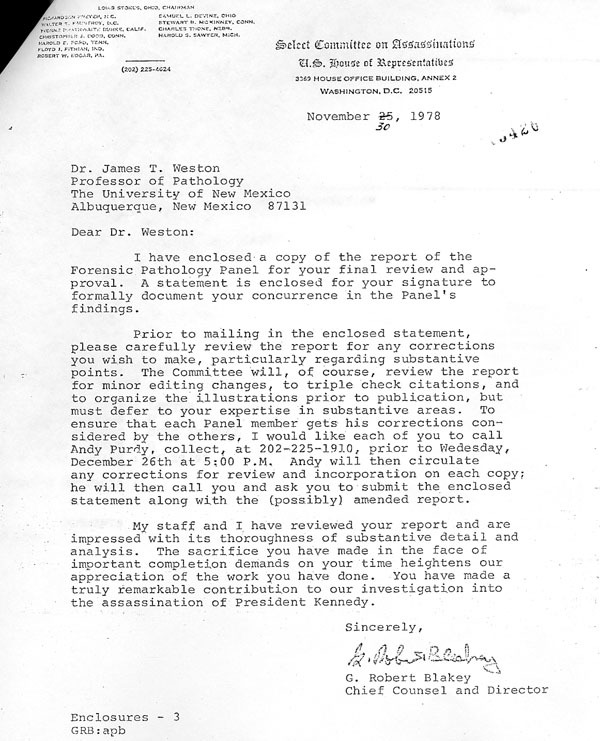 John Coe, Joseph Davis, George Loquvam, Charles Petty (deceased), Earl Rose, Werner Spitz, James Weston (deceased), and Michael Baden—endorsed as a thorough and honest study of the medical aspects of the JFK assassination a document that clearly was not. 2. Or, Baden knew full well that the conclusions in his Report were physically impossible, and knowingly passed incorrect information onto the U.S. Government. Whatever his shortcomings, Michael Baden is clearly no dullard. The question inevitably becomes, what motive drove the deception? Implication No. 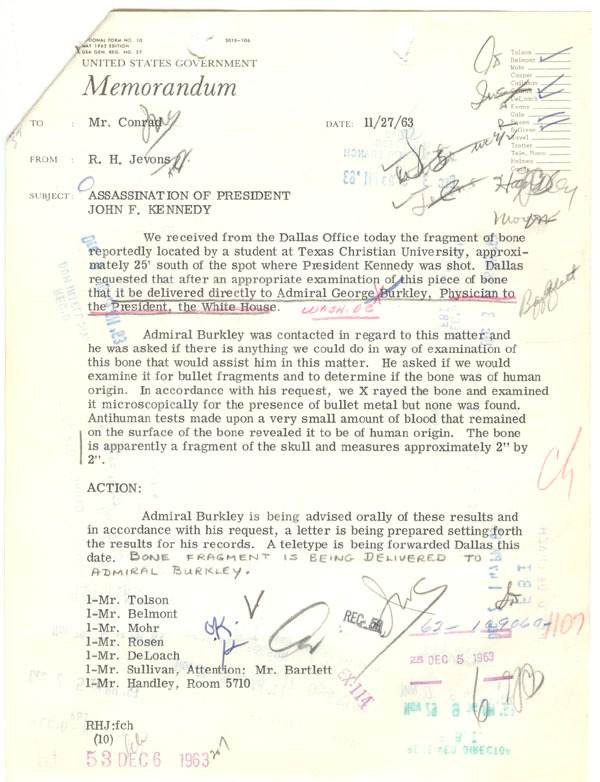 2 — The FPP gathered evidence indicating a possible exit point located at the top rear of Kennedy’s head, and then quashed that evidence. 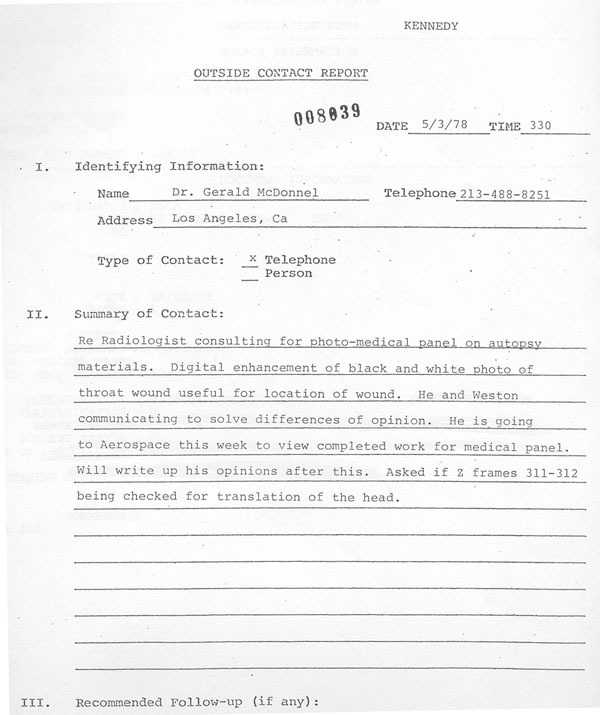 The forward right half of Kennedy’s coronal suture was not on the skull when the X-rays and photographs were taken because the Triangular fragment (and its half of the coronal suture) had not yet arrived at the morgue. Likewise, and according to the FPP, the bone that makes up the other side of the coronal suture, the anterior-most portion of the parietal bone was not present on the skull at autopsy. Therefore, the “skull bevel” the FPP thought it saw in the photographs could not have been located on the coronal suture above pterion because no bone remained to evidence the suture. Taken in concert with the findings of Mantik, Angel, Boswell, Finck, Canning, and McDonnel that frontal bone was absent at that point, the coronal suture could not have been visualized on the lateral X-ray because it was not present. HSCA consulting radiologist Dr. David Davis seemed to confirm this when he reported “absence [of bone] present to a point approximately equivalent to where the coronal suture on the right side should be” [emphasis added]. Yet it was Davis who apparently wrongly confined the skull defect to the right parietal in the first place! It follows that if the FPP genuinely believed that both the skull photograph and Triangular fragment represented exit points, then there must have been at least two separate exit points in the forward part of JFK’s head: one on the Triangular fragment, and one on the skull itself. This is exactly what Larry Angel reported to the FPP and the FPP disingenuously disregarded. 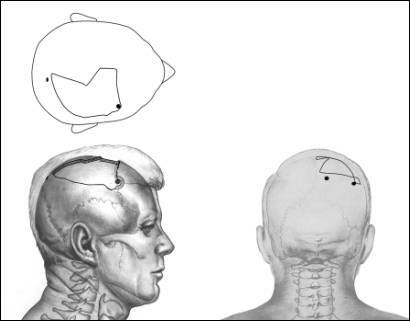 Ballistically speaking, this does not automatically mean that two separate bullets exited the front part of the head; it could be that one bullet fractured, then diverged created two exit points. If the FPP genuinely believed that the Harper fragment evidenced a bullet’s exit point and if Angel was correct that the fragment originated from the top rear of the skull as all the evidence indicates, then another bullet exited at that point. Therefore, under an honest interpretation of the evidence, if the FPP could not stuff the “three exits” into one common, forwardly-located outshoot, then they would have to admit the evidence showed at least one frontal exit point and one rearward exit point. That would mean conspiracy (see Figure H-15). Figure H-15. Under the FPP scenario, the possibility exists that a bullet exited the top rear third of Kennedy’s skull. The FPP claimed to have stuffed both the Harper and Triangular skull fragments where they knew they did not, and could not, fit. Why? Perhaps, the FPP grasped the implications of the evidence it gathered. Whatever the motive, the result of the their deception, which I believe was intentional, is clear; the FPP dishonestly and artificially simplified a complex and potentially momentous set of data to obfuscate the whisper of conspiracy. In the final analysis, the FPP endorsed a Report that misrepresented the medical evidence and Michael Baden (at a minimum) had every reason to know it. The HSCA sought to answer the question “was John Kennedy assassinated as the result of a conspiracy?” The answer rests today, as it did in the mid-1970s, on an accurate, forthright, honest review and interpretation of the extant medical evidence. That is not what we got from the HSCA Forensic Pathology Panel. HUNT: When you drew that drawing did you, I guess you used a human skull that was the same size and shape as President Kennedy’s. And, did you actually draw the defect in the skull on the skull itself? DOX: Uh, you know, um. I-I don’t like to answer questions over the phone about this situation. All right? DOX: - Listen. Ah, ah I don’t-I make-I have a policy; I never discuss this situation with anyone, especially over the phone! Alright? DOX: No! I- As I said, I do not want to discuss this with anybody! Okay!? HUNT: Okay. Do you have those drawings? 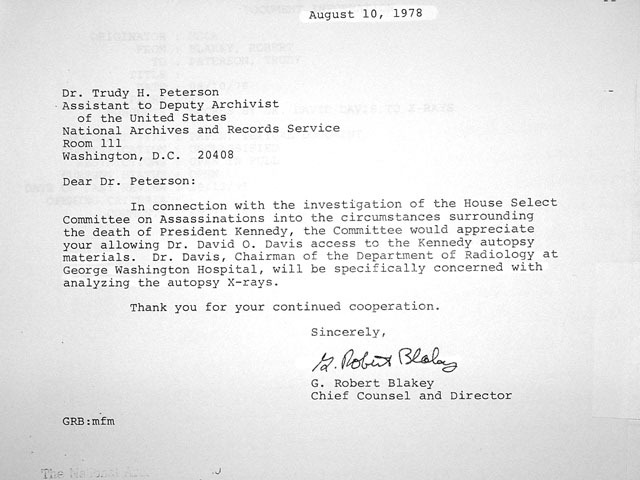 When queried, Dox instinctively referred to the skull reconstruction process in the present tense as “this situation.” Of all the phraseology Dox might have employed, such as; “I don’t discuss my work for the HSCA;” or “I don’t discuss my work for the FPP;” or even, “I don’t discuss the Kennedy assassination,” she unhesitatingly responded in the present tense—“This situation.” What situation? Dox’s work for the HSCA was ostensibly harmless. She did nothing more than produce a few slick medical illustrations, right? Yet according to Dox, her work for the HSCA continues to be an ongoing “situation” twenty-five years after the fact, so much so that she “never discusses” it “with anyone.” Given our new understanding of the Forensic Pathology Panel’s “single-outshoot” ruse, Dox’s reticence to discuss her part in the process becomes significantly less mysterious. HSCAR43 refers to page 43 of the Report of the Select Committee on Assassinations, U.S. House of Representatives, published on March 30, 1979. 7HSCA176 refers to Volume VII, page 176 of the Hearings of the House Select Committee on Assassinations. HSCA RN 180-10091-10236, pgs 1, 2 refers to HSCA record series, Record Number 180-10091-10236, pages 1 and 2. USSS RN 179-10001-10039 refers Record Number 179-10001-10039 of the Official Case File of the U.S. Secret Service. FBI HQ RN 124-10017-10014 refers to Record Number 124-10017-10014 of the Federal Bureau of Investigation, Headquarters files. 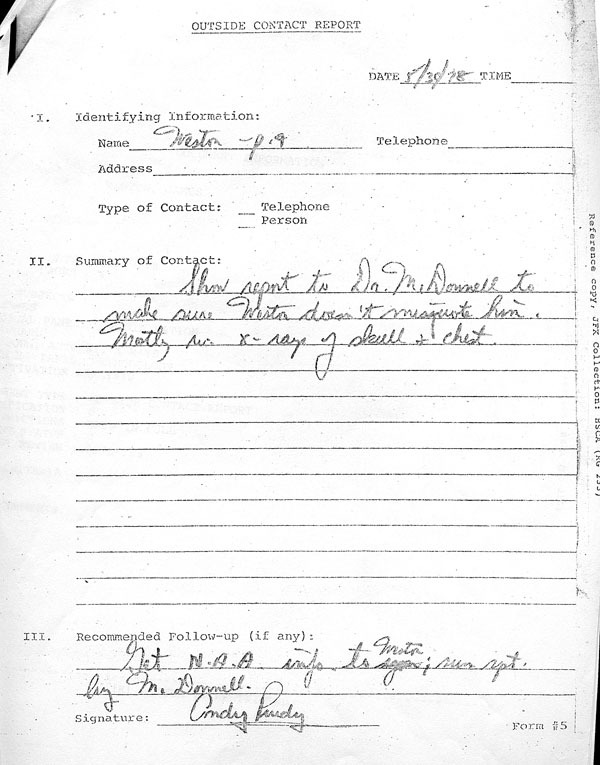 ARRB, MD50 refers to the Assassination Records Review Board, Medical Document number 50. The National Archives and Records Administration (NARA) arranged for DNA testing to be performed on the biological material in September 1998. According to NARA, the test results were inconclusive. G.M. McDonnel (7HSCA217), Norman Chase (1HSCA209), William Seaman (1HSCA212), and David Davis (7HSCA222) interpreted the X-rays at the request of the FPP. Their professional observations and the FPP's perversion/misuse of same is detailed in a book I’m currently writing on the JFK assassination. See the reports of G.M. McDonnel (7HSCA217), Norman Chase (1HSCA209), William Seaman (1HSCA212), and David Davis (7HSCA222). [6b] Through the years researchers have made attempts to definitively orient the view in the JFK skull photograph. Although it is outside the scope of this essay, I will say that none have convinced me. I have likewise not been convinced by my own attempts. Frustratingly the bootleg version we have has been cropped and several anatomic features are present in the original which might offer important clues. The original has only been seen by those privileged enough to have been granted access by the Kennedy family. This version of the actual F-58 exhibit was scanned from an 8x10 photograph at the National Archives. Pterion is the region of the skull where the tip of the greater wing of the sphenoid bone, and the parietal, frontal, and temporal bones meet and/or approach one another. This area is commonly thought of as the temple. Stephanion is defined as the point at which the temporal ridge crosses the coronal suture. Stephanion is located approximately 2 cm. above pterion. FBI HQ RN 124-10017-10014. The color scan of this document was made by the author at NARA. Figure H-2 is a composite of two 4x5 color negatives of the Harper fragment I scanned at the National Archives that are apparently photographs of 4x5 enlarged prints made from the original 35 mm slides. The computer scan of the photograph of the X-ray was made by the author at NARA. 7HSCA176 (473) Humes denied to the FPP in September 1977 that this was the exit point on the skull. Humes had told the Warren Commission the same thing thirteen years prior. The FPP concluded that photographs of the Harper fragment reveal exit beveling. (7HSCA78 (224)) However, the FPP did not attempt to make any case for such a conclusion. In fact, when they asked Humes if the Harper fragment could be part of the exit hole he replied, "I don't think any of the borders of [the Harper] fragment to me would coincide with this type of a wound of exit." (7HSCA246) Additionally, to my eye, the photographs, excellent copies of which are available, show no evidence of beveling on either the internal or external surfaces. The author's computer scan of the photograph of the actual F-66 exhibit was made at the National Archives. HSCA RN 180-10147-10324. This is the record number for the actual skull model Humes and Finck marked for the HSCA. The photographs of the skull and its associated text were not part of the final draft of the FPP Report which the panel members endorsed. Figures 22 and 23 and the footnoted text were inserted at a later date by persons unknown. The claim that “Dr. Finck marked the skull independent of Drs. Humes and Boswell, and without knowing where Drs. Humes and Boswell had placed their circle” is simply not true. Humes marked the skull in September of 1977. Finck marked the same skull in March of 1978. Humes mark was on the skull and plainly visible to Finck as he testified and handled the skull incident to marking it. 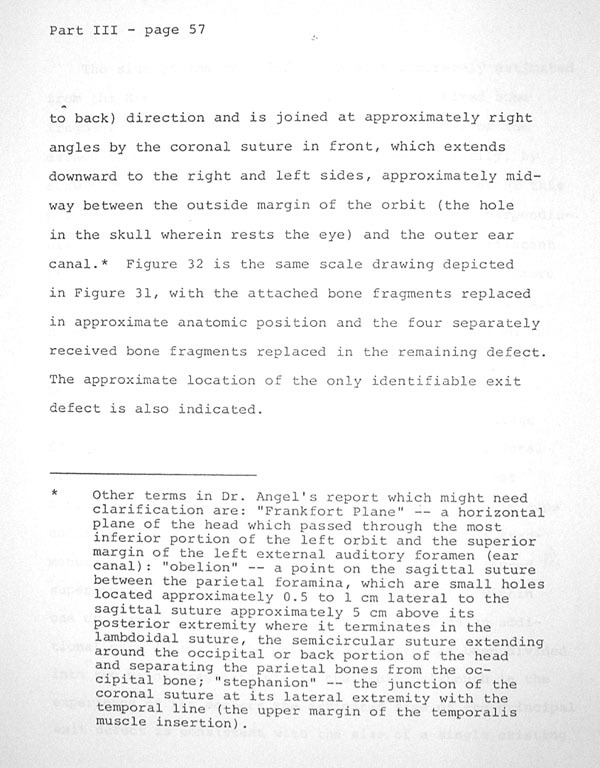 (It is a little known fact that Finck was badgered into marking the inshoot on the internal table of the skull as well) The FPP had also drawn its “high” inshoot and coronal “outshoot” on the skull prior to March, 1978, and so their marks were also visible to Finck as he viewed the skull. 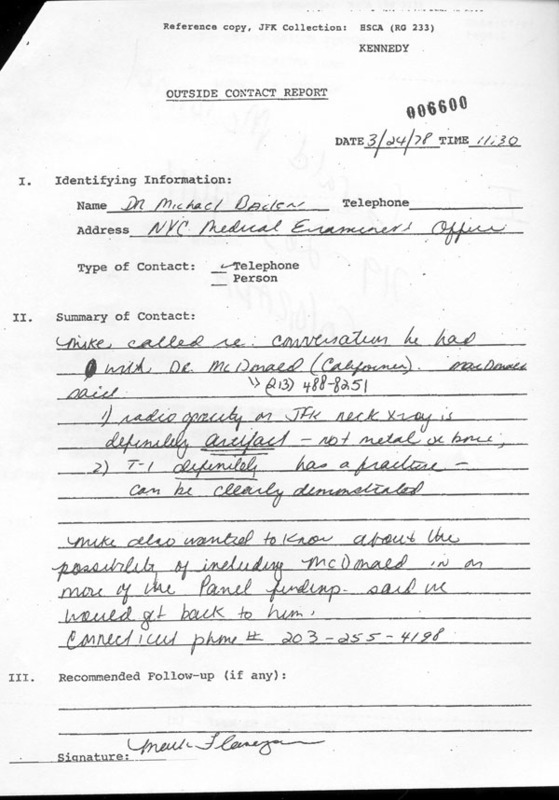 Astoundingly, Finck was not asked to mark the skull during his only scheduled appearance before the FPP (March 11, 1978). 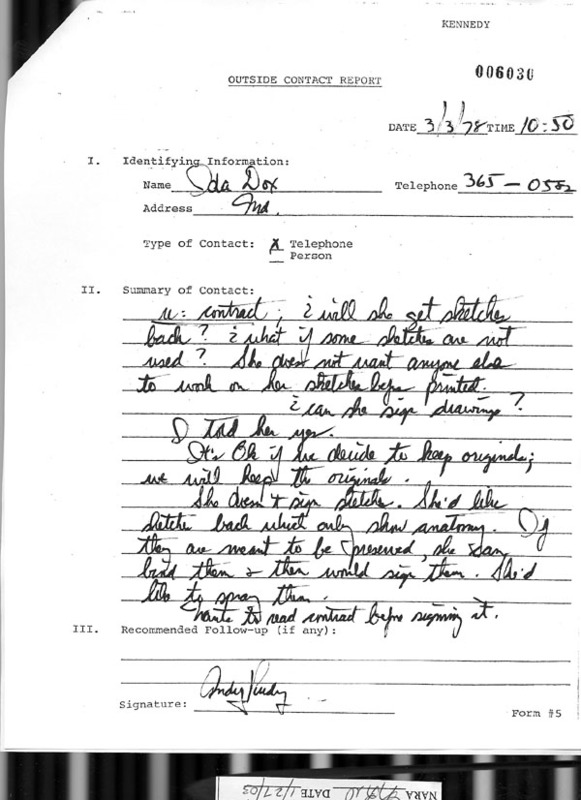 Finck asked to return on Sunday, March 12, 1978 for a second, unscheduled testimonial session before the FPP, and it was only then, as an afterthought, that the skull was brought out and he was asked to mark the inshoot point on the skull! And it was not any member of the FPP who thought to have Finck mark the skull. It was HSCA staff counsel, D. Andrew (Andy) Purdy. Had Finck not asked for his second round before the FPP, he would never have been asked to mark the entry site. HSCA RN 180-10085-10088. 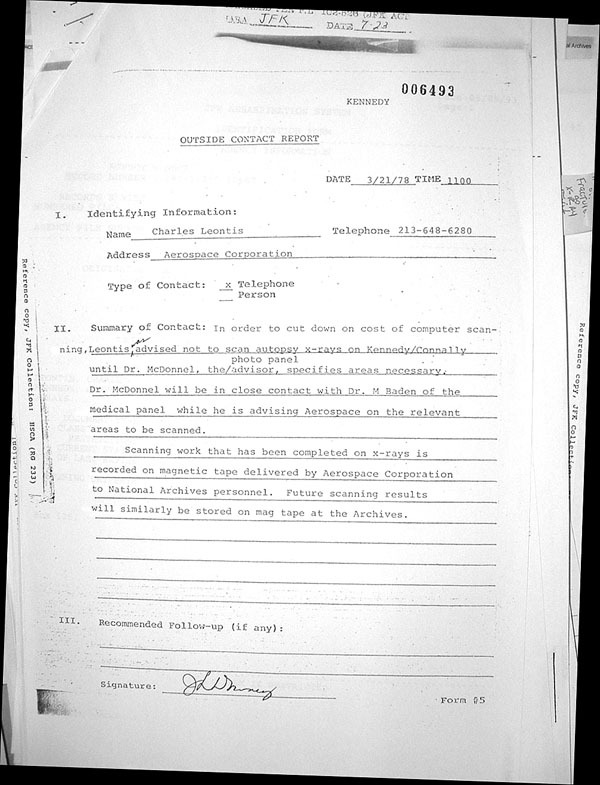 The author's scan of the HSCA document, reproduced here for the first time. HSCA RN 180-10100-10232, pg. 57. The author's scan of page 57 of the HSCA FPP Final Draft, reproduced here for the first time. Limits of time preclude publishing the entire 178-page document online in conjunction with the publishing of this essay. At some point in the near future, the entire volume will be available. I have enclosed a copy of the report of the Forensic Pathology Panel for your final review and approval. A statement is enclosed for your signature to formally document your concurrence in the Panel's findings. From the available files, we can narrow the suspects down to James T. Weston (deceased) and G. Robert Blakey (very much alive as the excerpt is published to the web in 2006). 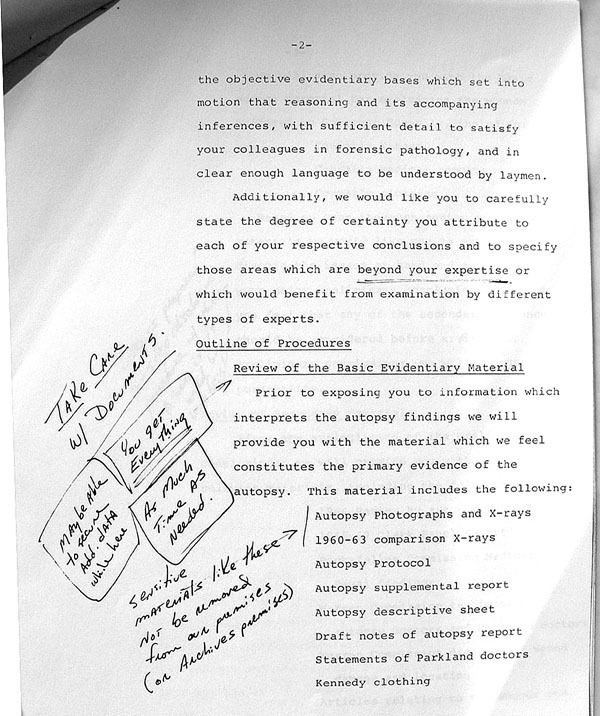 Weston told Blakey in 1979 that “I thought that the rewrite of the report was very well done.” What “rewrite?” The final draft was essentially completed on November 30, 1978 when Blakey “enclosed a copy of the report of the Forensic Pathology Panel [dated December 1, 1978] for [Weston’s] final review and approval”. Weston claimed not to have made any “corrections.” Therefore, three possibilities exist; either Weston handed Blakey an altered FPP Report, or Blakey altered the FPP Report himself, or they both altered it. Unfortunately, I could find no additional files at NARA that shed light on the identity of the perpetrator. Until additional information becomes available, there the matter rests. 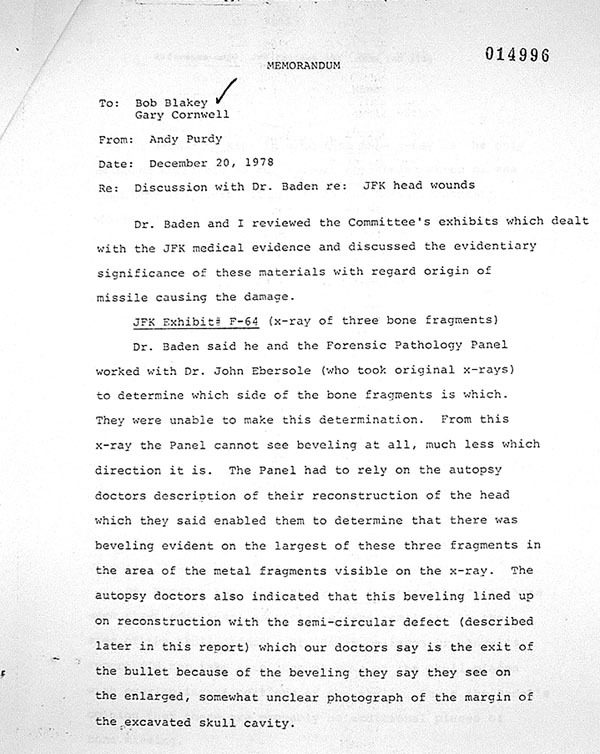 According to Baden, the four bones ejected from Kennedy’s skull completely filled the defect. (HSCA RN 180-10120-10023, pg 2) As will be seen, that conclusion is flat out wrong and Baden knew it. One minor complication arose during the execution phase of the exercise; my plastic skull was slightly smaller than Kennedy’s. Therefore, a correction factor needed to be determined and applied. The difference in size between my skull and Kennedy’s was first quantitatively defined. This was accomplished using a 1-1 scale tracing of an ante-mortem X-ray of Kennedy’s skull made by the HSCA Photographic Evidence Panel. The distance from the forward-most point of Kennedy’s forehead (the brow) to the rear of the skull along a horizontal plane was measured and found to be 18.72 cm. My skull measured 16.5 cm along the same plane. Therefore, my skull was 88% the size of Kennedy’s. A scale ruler needed to be constructed in order to keep the scale consistent between the skull and the dimensions in the 3-view drawing. This was accomplished by scanning a centimeter ruler at a scale of 1-1 into Photoshop 5.5, an extremely powerful computer image editing program. The 1-1 image was then reduced in size to exactly 88%. Once printed, I had a ruler that was 88% of the original. F-65 and F-66 are two version of the same drawing. In the following illustration, Figure H-16, the outline of the skull and the shape of the suture lines was traced from F-66 (left panel) and laid over F-65 (right panel). Figure H-16. Skull outline and suture lines traced from F-66 (left) and laid over F-65 (right panel). The view of the skull and its suture lines is virtually identical, with F-65 being the more polished of the two. Note that the coronal suture line from F-65 (left panel), when placed over F-66 (right panel), tracks the forward edge of the bony defect. 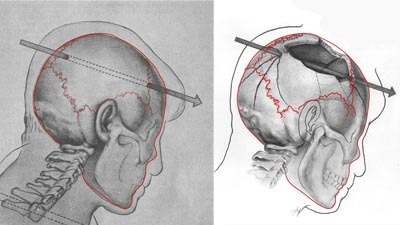 Baden’s testimony has been confirmed through the FPP illustrations; according to the FPP, the defect in the skull extended no further forward than the coronal suture. Therefore, the Triangular and Harper skull fragments must be confined the area of missing bone in the right parietal. As with the full-scale ruler mentioned in reference #35 above, I reduced the image of the fragments to 88% of the original. Thus the Harper and Triangular fragments had been scaled to the skull. I chose to incorporate the middle version into the text as it most closely approximates the diameter of the FPP skull bevel exit hole. Angel viewed the autopsy material on 9/16/77 in concert with the FPP (7HSCA247). 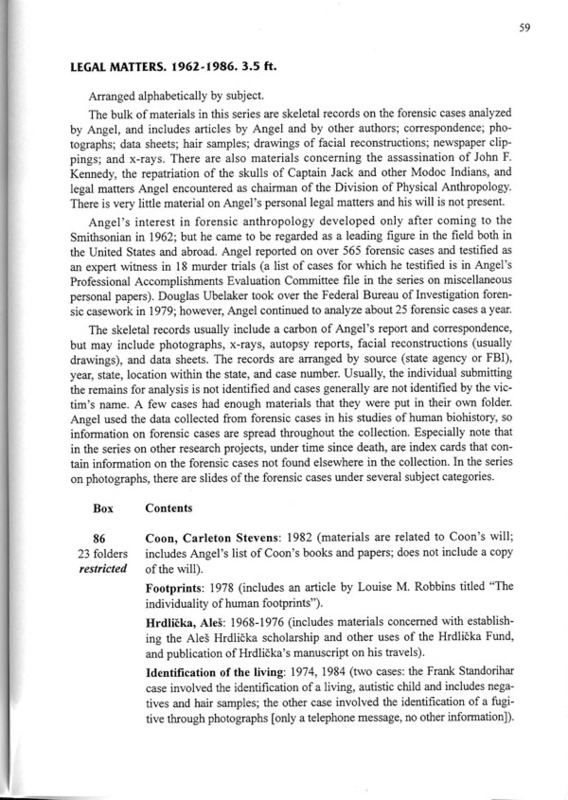 Angel went back to the Archives on 10/12/77 and 10/20/77 at Michael Baden's request (HSCA RN 180-10109-10034). On each trip, Angel produced detailed diagrams (Angel Papers). I obtained copies of both Angel's 10/12/77 and 10/20/77 working diagrams and notes from the National Anthropological Archives in February 2002. Those materials have never been published. 7HSCA230 The version of Angel’s illustration reproduced here (Figure H-5) is a computer scan of page 230 of HSCA volume VII. I was unable to locate Angel's original illustration using the National Archives' electronic database search engine or a lengthy search of the HSCA files at NARA. It is likewise not among his papers at the National Anthropological Archives, and appears to be lost to history. David W Mantik, M.D., Ph D. Murder in Dealey Plaza, 2000, page 251. G.M. McDonnel, 7HSCA218. > Phone conversation with the author. > Gerald. M. McDonnel, 7HSCA218. Aerospace Corp. computer expert, Robert Chiralo told me during a 12/19/02 phone conversation that he and McDonnel worked closely together on several projects at Aerospace Corp. In one such project, they were attempting to develop and market digital X-ray equipment. Unfortunately, the radiology community was extremely dubious of the new (at that time, 1976-79) computer technology. Eventually, Chiralo and McDonnel gave up on the project. McDonnel and Chiralo, it turns out, were twenty years ahead of their time; the last time I had dental work performed, the dentist stuck a digital X-ray plate in my mouth which was hooked up to a computer monitor. The digital X-ray image was available in seconds. I thought of McDonnel (deceased) as the drill carved up my tooth. 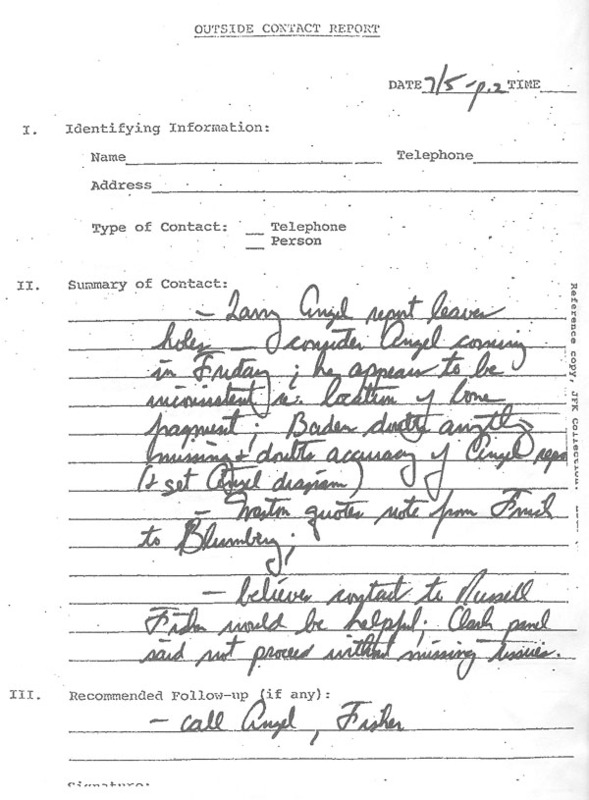 I have not located the Harper Fragment per Larry Angel’s interpretation for the reason that Angel (and the HSCA) was denied one critical piece of evidence by the FBI in 1977/78; the Harper Fragment X-rays they took on 11/27/63. Limits of time prevent a more detailed accounting of what that new evidence means. HUNT: Yes, could I speak with Ida Dox please? HUNT: Ida Dox, Hi. My Name is John Hunt. I’m calling from, ah, Tiverton Rhode Island. HUNT: When you drew that drawing did you—I guess you used a human skull that was the same size and shape as President Kennedy’s. And, did you actually draw the defect in the skull on the skull itself? DOX: Uh, you know, um. I—I don’t like to answer questions over the phone about this situation. Alright? DOX: What-What is-What-What’s the purpose of your question? HUNT: Um, I’m trying to-You did a series of drawing for the House Select Committee—DOX: -I understand that, but why are you calling? HUNT: Well, because they’ve disappeared. And one of them was supposed to be published in the House Select Committee—the Forensic Pathology Panel Report and it was included in their final draft. Dr. Baden included it in the final draft but it never made it into the published version, and it’s disappeared. It was never published. HUNT: It was the one—. DOX: - Listen. Ah, ah I don’t-I make-I have a policy; I never discuss this situation with anyone, especially over the phone! All right? DOX: No, I- As I said, I do not want to discuss this with anybody, Okay?